Giant Cupcake Cake for Nicola! Thanks Vee of your order for Nicola’s birthday cake for the third year running. 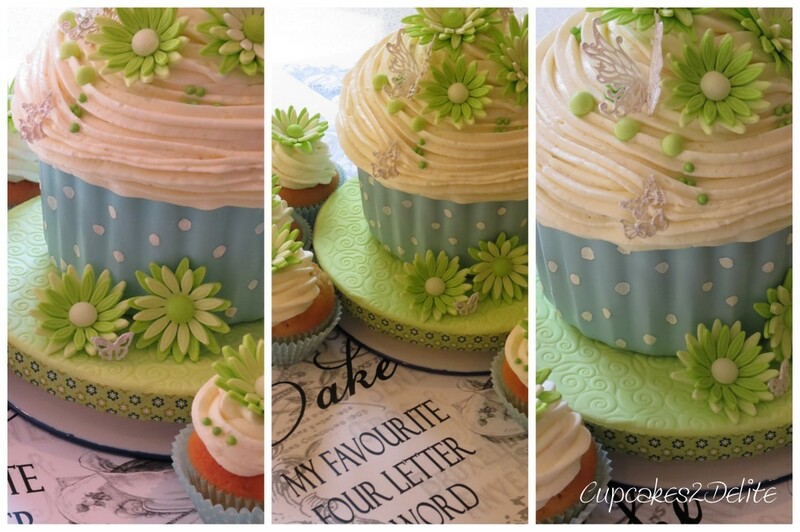 It was fun to do this Giant Cupcake Cake in pastel blue and shades of lime green for her. I have baked this cake before but decided on a chocolate coated ‘cupcake wrapper’ base for a change. Thanks to an awesome tutorial it was really easy and not only effective on the cake but also tasty. 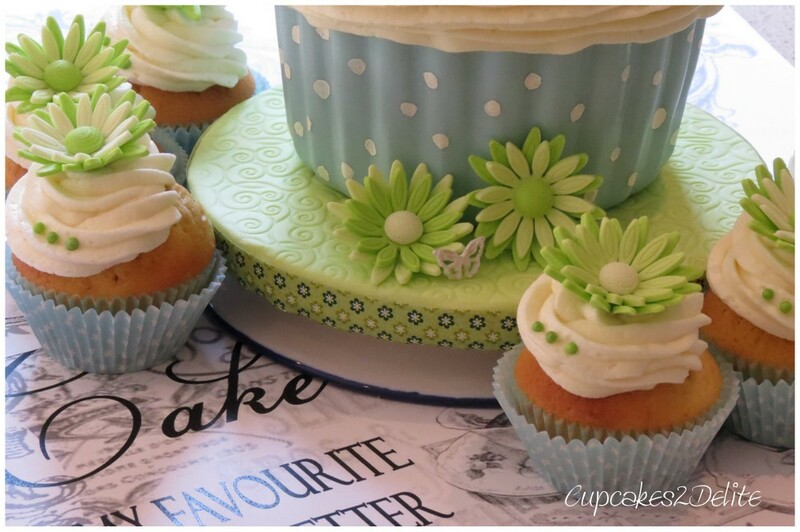 I added a swirl of vanilla cream cheese icing before decorating the cake with daisies in shades of lime and Crystal Lace butterflies. I was inspired by the blue cupcake cases with their dainty white polka dots to add white gel polka dots to the chocolate casing. 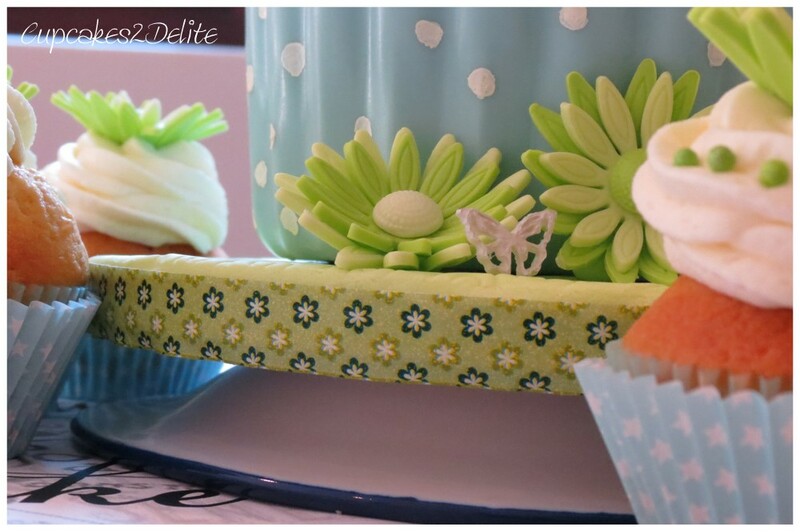 The cupcakes I made with a matching vanilla icing, lime daisies and lime green pearls. I added the cake to an embossed cake board with a washi taped edge in the matching colours. Cake turned out to be not only my favourite four letter word but Nicola’s too as she was presented with her birthday cake! Giant Cupcake Cake goes Dotty!